Yay! 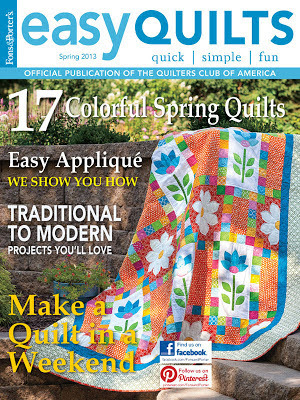 My super-orangey quilt made the cover of this happy Fons and Porter's Easy Quilts issue. On newsstands now! Hope everyone is having lots of fun starting new projects for a new year! Happy quilting! Just terrific and so bright and fun. Congratulations! What a beautiful colorful quilt. Congrats on getting it on the cover. Congratulations!! Such a happy quilt. 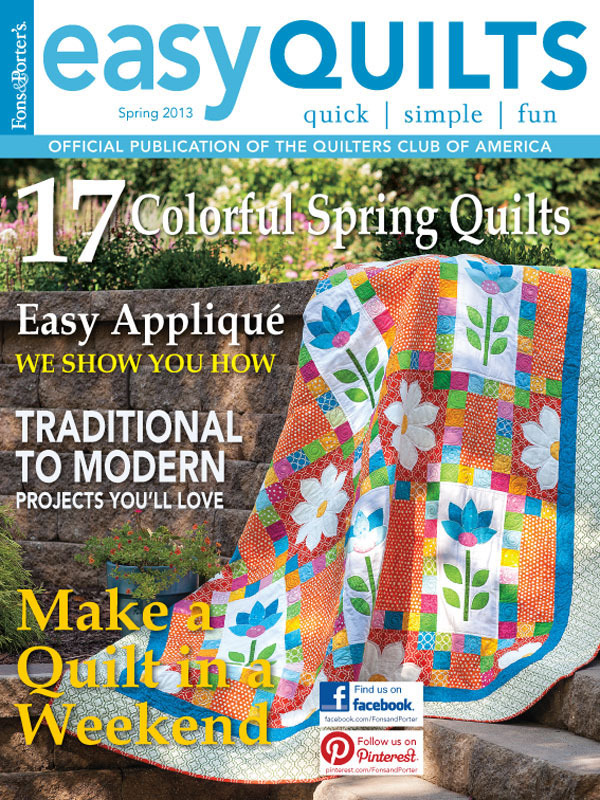 Congratulations on the cover quilt! It's gorgeous! Thanks for the flowers that I won on the blog giveaway before the holidays! I can't wait to use them. Love it!! I'll be checking out my local magazine store for it!! I just got fat quarters of your Bella line: beautiful!! Congratulations! What a happy quilt! will any one be offering a fabric kit for this gorgeous quilt? Fons and Porter makes the decision on what to kit. I looked in the back of the issue and didn’t see it so that probably means they aren’t, but you could call and ask. I can tell you that all prints were from Robert Kaufman Fabrics. Most were from Patrick Lose, MonaLuna, or their Metro Living line. You can look at their site www.robertkaufmanfabrics.com. I hope this helps!